Millions of adults across the United States live with chronic pain. 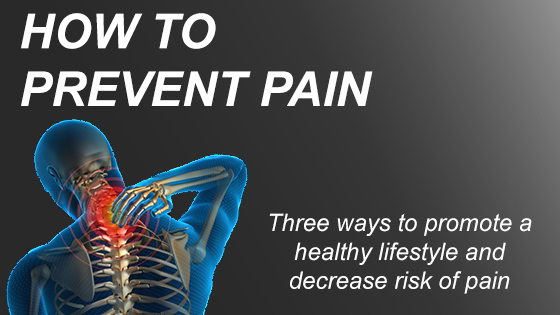 While you cannot mitigate all of the biological, psychological, and lifestyle risk factors associated with chronic pain, you can work to promote your own healthy lifestyle habits which helps decrease some of these risk factors. Developing and maintaining good physical and mental health routines can help prevent chronic pain. These habits include eating a balanced diet, getting regular exercise, and reducing stress in our daily lives. In addition to promoting a healthy weight, exercise is a strong preventative measure against pain because it promotes flexibility, helps us develop stronger muscles to better support our joints, and helps us maintain our general physical activity. Whatever gets you moving – walking, running, aerobics, cycling, kickboxing – will help keep you physically fit, which is beneficial to your overall health. Eating a diet consisting of low cholesterol foods, high fiber, and lots of fruits and vegetables can help maintain overall health and decrease our risk of inflammation. . Dark cherries, blueberries, and blackberries all help to fight inflammation along with fish and tofu. This balanced diet, along with exercise, promotes a healthy weight, which reduces stress on the joints and spine, leading to painful degenerative problems like arthritis.For more information on healthy food – and the kind of foods you should avoid – check out my podcast on Foods that Fight Pain & Slim the Body. Maintaining a consistent exercise routine can also help alleviate stress, another major risk factor. Stress can cause muscle pain and amplify our sensitivity to pain. 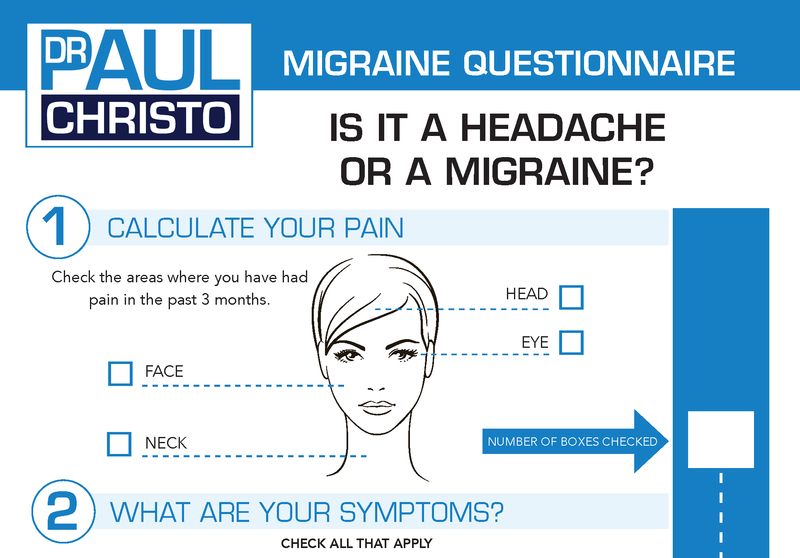 It can lead to migraine headaches, low back pain, and painful digestive disorders. In fact, the stress response is a subset of the body’s general defense response which triggers the nervous system, endocrine system (fight or flight response), and the immune system (inflammatory response). Other ways to manage stress include meditation and counseling (cognitive behavioral therapy). Getting 6-8 hours of sleep, biofeedback, and engaging regularly in an activity that you love (reading, working out, getting a massage) are all keys to managing stress. Because chronic pain may have a link to chronic stress and post-traumatic stress disorder, it is important for people with these conditions to manage stress as a preventative measure. Recognize that it is possible to develop healthy habits now to lower your risk factors for pain in the future. Sign up for Aches and Gains Weekly to get updates on upcoming episodes and other cutting-edge information on pain treatments and ways to cope. Posted in Blog, Diet, Exercise, Holistic, Pain Fighting Foods, Stress.